Never tried kayak fishing yet? Are you looking to upgrade to Kayak fishing? Don’t wait, Rather Kayak!!! Kayak fishing is one of the hottest sports. No matter you are a shore bound fishermen who like to reach new waters and distant fishes, or recreational kayaker passionate for the fishing plastic vessel, or boat fisherman who knows kayaks are the exciting yet less costly way to be into the water. Kayak-fishing is virtually for everyone. Kayak fishing is a lot easier, safer and fun than it looks. In last ten years, firms are manufacturing Kayaks, particularly for angling purposes. Most of them are remarkably comfortable and stable. They include features like anchor systems, tackle hatches, rod holders and live wells as well. Precisely there isn’t any one-size-fits type of thing in fishing Kayak category. Before buying it for angling, remember to take stock of where and how you intend to do most fishing and paddling. Mark your needs; will you be in freshwater ponds after largemouth bass? Will you be poking around flats, estuaries and saltwater harbors for striped bass and bluefishes? Will you be navigating rivers and streams to catch trout and smallmouth bass? Or are you planning to venture out into Open Ocean to launch through surf? Also, consider, will this be just fishing vessel, or do you plan it for recreation and relaxation? As soon as you thought about your need, it is time to choose handful which seems to match your criteria. Before evaluating the best fishing kayak at local paddlesport store or marina, it’s kind to know some essential facts about Kayaks. Most fishing-kayaks are for a variety of activities, however, understand no single kayak excels at all events. Selecting fishing-kayaks, like car or boat means mulling over a long list of features and deciding must haves and what to compromise. As soon as you understand the available options, start down to select best Kayak brands. Here are some basics to think about before buying one. Most people choose self-bailing sit on top fishing kayaks, particularly for saltwater. SOKs are safer because they roll over without filling with water, and they give more room for an angler to move around even throw a leg over the side for more stability while catching fishes. 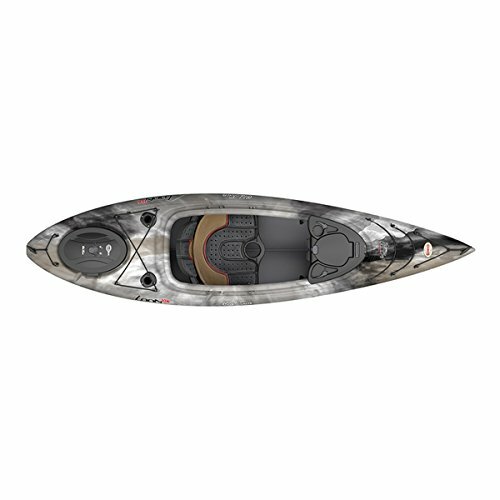 Sit inside fishing Kayaks or SIK are preferred for running waters and where lighter weight craft is needed. SIK offers a drier ride as compared to SOK type. Most if not all primary fishing kayaks are propelled with paddle power; however, now pedals are the option in various Kayak lines. Hobie Kayak Mirage Driveline is standard in leg-powered fishing-kayak that is famous with anglers as they free up hands for angling. This year Old Town appeared on the market with Predator PDL that is pedal/propeller drive. The old town also offers electric motor powered fishing Kayak that is becoming more and more popular option. Longer the fishing kayaks, the faster and more comfortable it will cover distances. The trade-off is a loss of maneuverability in tighter spaces and difficulties to transport. Wider fishing kayaks are much more stable, and it can support much more capacity. But, width isn’t a necessary feature to affect stability. Think about the capacity and things you can carry. Heavy kayak might need a wheeled cart for moving. Think about storage capacity you will need. Will you be keeping fishes or change of clothing? Will you be doing kayak camping? Is storing live-bait important for you? Cheap fishing-kayaks come with essential removable seating pads or molded-in seats. Many kayaks come now comes with lawn chair seats with more back support. Extra stable and wide fishing-kayaks allow the angler to stand as well as sight cast for angling in shallow waters. C-135 by Eddyline is the best sit on top kayak for the serious fisherman. It’s a lightweight substitute for a heavyweight polyethylene kayak. Its acceleration is quick; just a few strokes gets you up to a faster speed. Its Cloud10 Seat gives breathable, durable, sun and waterproof comfort, and its hull is meant to accept a variety of stakeout poles, trolling motors, and many aftermarket accessories such as casting bars. 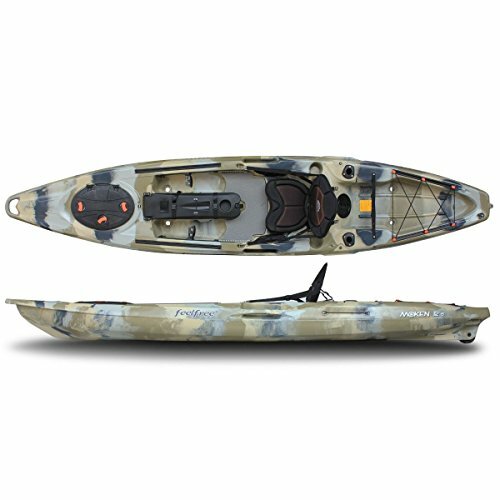 Feel free Moken 12.5 fishing-kayak is sufficiently stable for standing and fast enough to handle coastal waters and larger lakes. It features an Easy Seal hatch and quick-release Uni-Track modular system. Optional rudder assists in steering on windy situations, and its Wheel in Keel lets you rolling this fishing-kayak to launch comfortable and pleasant. Loon 126 Angler comes with new sleek hull design which is quick as well as tolerant. With all new ACS2 Seat and extra width for more stability, it’s meant to be one of the most comfortable sit in angling fishing-kayak. 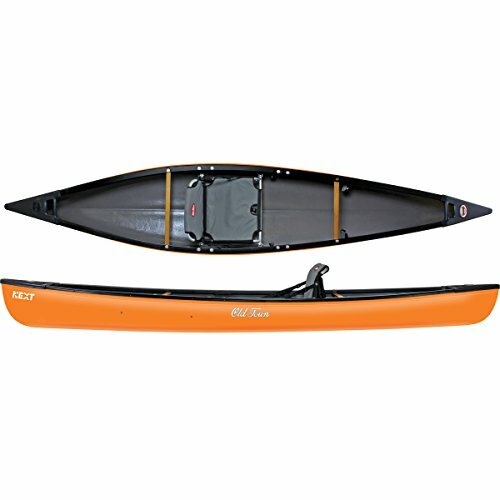 Bounty 100X Angler is another stable and considered one of the best fishing kayak that features ample storage and a bungee in stern and bow quick-lock hatch. It is made up of extraordinarily rigid yet lightweight RAM-X material. It weighs just 39 pounds, although it also includes cockpit knee pads, rod holders and adjustable padded backrest along with adjustable footrests and seat cushions. Old Town Next is entirely is entirely and exclusively fun for a single user who brings a century of proficiency into genuinely miraculous personal watercraft, unlike others. It is built for a single user, however, designed for all; this best fishing kayak represents a new generation of today’s paddle boating, fitness, and outdoor activities. Suitable for all users, including new generation paddle boating, outdoor and fitness enthusiasts. Entirely and exclusively fun for one person boating. Discovery Sport 15 by Old town can be motored with up to 4 HP engine or paddled traditionally. It’s incredibly versatile, and it’s designed with generous beam and full-length stabilizing chines, giving you dry and confident boating experience. Whether motored, propelled or paddled, you will enjoy Discovery 15. Completely dry and extremely confident boating. This best fishing kayak has taken efficient and powerful Mirage Drive and integrated it into stand-up paddleboard, which itself is stable enough to withstand massive waves, winds and boat wake. There are handlebars to give additional stability. Not a single paddle is required with Mirage drive; simple stepping movement can get your board underway. The steering can be controlled by squeezing handlebars. Additionally, a durable rudder makes board simple to maneuver, even when tight turns are needed. The best part, Eclipse can be outfitted merely for angling with this Kayak. Perhaps you are one of those avid fishermen who are after something unique. Maybe you are a beginner. Maybe you have been looking for something that keeps you in shape while moving around. No matter whatever is your reason for searching and buying the best fishing kayak. I cannot recommend anything higher enough. A best fishing kayak has its limitations; it can only be an option when weather allows you to use it or if you are going for angling for a beach or pier. It’s a great affordable, fun and useful mean to catch a significant number of fishes.